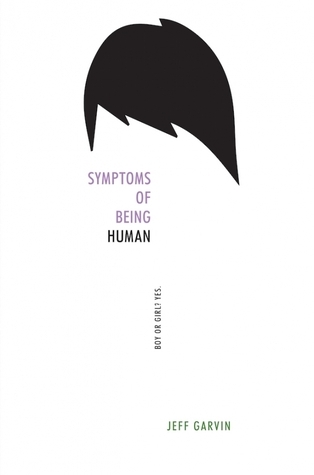 Symptoms of Being Human follows Riley, a transgender person in their junior year of high school. They struggle a lot because people pick on how neutral they are, and ask what gender Riley is. Riley hasn’t come out yet, and while trying to figure out when they should do so, their therapist recommends starting an anonymous blog. So they do, and it goes viral. Then someone discovers that Alix (which is Riley’s blogging alias) is really Riley, and threatens to expose them unless Riley either comes out or abandons their blog. I thought this book was really interesting. It was the first book I’ve read that featured a gender fluid character, although I have read books featuring LGBTQ side characters. It took a bit of getting used to, but that wasn’t hard. Riley was a very well-written MC, and I think they were very realistic. Their conditions (dysphoria and anxiety) and panic attacks were also portrayed really well. Reading this taught me a lot about what gender fluid really means. Previously, all I knew was that people that were gender fluid didn’t register as either male or female. But in the story there was a strong metaphor that helped me understand this condition, and it said being gender fluid was like having an internal compass but with feminine and masculine rather than north and south. Some days it’s directly on one side, on other days it’s on the opposite side, and then some days it’s somewhere in the middle. I thought that was a great way to explain it. But I did have one issue with: it took a long time to reach the climax. I get that buildup is necessary, but I feel like in this book there was a bit too much. The climax didn’t come until ¾ through the book, and it wasn’t even a huge deal. There was no threat, just a big, public exposure. I feel like that was a bit of a disappointment because I was eager to see how Riley would cope with the ultimatum from the stalker, but there wasn’t one at all. There was a bit of a revelation, but I sort of saw it coming. That was my only problem with it, but as a side note and warning, there is some rude language and Riley has severe anxiety and panic attacks. If you’re bothered by such language or have similar issues, I wouldn’t recommend this book to you. It’s up to you whether you read it or not, but I just wanted to put that out there. Previous Post The Starlight Blogger Award! I absolutely want to read this now! At my new school I have actually met a gender fluid person, so I feel like reading about it would be a good idea. That’s cool! 😀 I hope you enjoy this when it comes out!